Everyone has a different lifestyle before and after their retirement. Individuals of every age group seek how to enjoy their life and improve the overall health. They concentrate on the best guidelines to decide on how to make their retirement life in Mexico favorable in all the possible ways. They get ever-increasing interests to be aware of the cost of retiring in Mexico at this time. Mexico welcomes retirees from the USA, Canada and other countries for decades. Residents of many countries spend their retirement life in Mexico. They feel happiness and recommend the retirement life here because a thriving and cosmopolitan expat community welcoming retirees from across the globe. Individuals who are retiring abroad these days enjoy the new experiences, better weather and relaxed lifestyles. They entirely access to the affordable healthcare and low cost of living at this time. They focus on the best guidelines to improve their retirement life in Mexico. They search for the smart suggestions to enhance their lifestyle. They may get the overall interests to make their retirement lifestyle in Mexico favorable in different aspects. Every retired couple in Mexico requires an average of $2175 per month and $26100 per year. The average cost of the retire couple in Mexico includes the cost of the rental house with two bedrooms, maid service three times a week, healthcare, dining out, groceries, utilities, housing and a weekly gardener. All beginners to the retirement life in Mexico these days seek many things to enhance their lifestyle. They have to use pesos while shopping and living like local residents. They can use pesos to buy things from street vendors and save their hard-earned money in all the possible ways. There are different visas for individuals who wish to spend their retirement life in Mexico. As a beginner to the retirement life, you have to consider how long you plan to stay in Mexico at first. You may wish to stay in Mexico for a few months at a time. You can apply for a tourist visa and stay for almost six months in Mexico. Many retiree couples like to stay in Mexico for some years. They can submit an application for a temporary resident visa. This visa lasts for up to four years. You can make contact with the nearby Mexican consulate and ensure about your eligibility for a visa process. You can support yourself as a retiree in Mexico regarding funds you have earned and make outside of Mexico. It is the right time to decide on the minimum monthly budget. Every retiree individual in Mexico requires $1400 net income. Every dependent adds about $520 each to this amount. You may require providing bank statements for the last one year which must show an average balance of at least $23, 500. Individuals who own the property in Mexico these days have a value around or more than $207000 can qualify to reside in Mexico. A permanent visa is vital to stay longer than four years in Mexico. If you live in Mexico four years with your temporary resident visa, then you can qualify to get the permanent resident status. Once you have received the permanent resident visa status, you can work in Mexico. You have to show an average monthly balance over the last 12 months of $93000. You can also show a monthly net income or pension income over the last six months of $2300. The lifestyle determines the total amount of money required for spending the retirement life in Mexico. The way a person retires mostly affects the amount of money he or she will need to do it. Though you retire on a fraction of monthly income in the USA or any other nation, you can happily live with such money in Mexico. You can save the maximum money when you prefer to live modestly in a small apartment instead of a large villa, eat at home rather than order foods on online and sacrifice some of the comforts you have preferred and enjoyed in your hometown. If you do not have to comply with the small budget to enjoy your retirement life in Mexico, then you can prefer and live in an exclusive beachside community and take part in your favorite leisure activities like travel, fine dining and other activities. You can enjoyably and easily spend more than $15000 per month. You may fall somewhere in between the budget consciousness and lavish living when you plan to live your retirement life in Mexico. As a new visitor to the Mexico after your retirement from the regular work, you can concentrate on the retirement benefits program in the Mexico right now. If you are 60 years old or older with a Mexico resident visa, then you can qualify for the Mexico’s Personas Adultas Mayores benefits program. You can get discounts of 10% to 50% off the full price for different services like hotels, transportation, healthcare and cultural activities. Many residents in Mexico often shop at the local food market and reduce their monthly expenses in all the possible ways. Once you have decided to temporarily or permanently reside in Mexico within your budget, you can concentrate on where you can buy things at the cheapest possible prices without compromising the overall quality of such things. If you are not careful about how you spend your retirement funds in Mexico, then you may spend all such funds within a short period and unable to live in Mexico. Healthcare is an important thing considered by almost every person who has a plan to retire in Mexico. You have to be conscious on how you take care of your health in the retirement. 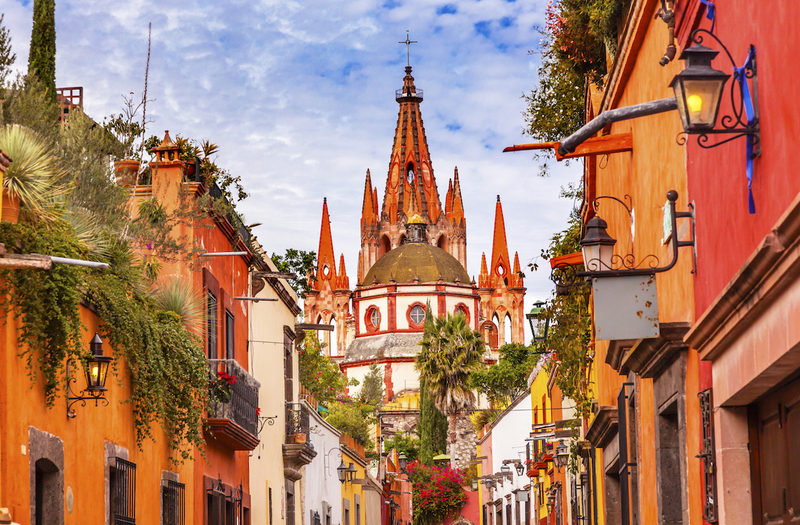 Your healthcare plan in your hometown won’t follow you when you wish to retire in Mexico. You can take note of the best-in-class medical insurance plans as well as facilities in Mexico to decide on and use appropriate plan and facilities on time. You will get extraordinary benefits from the retirement life in Mexico. Want to Know Everything About Real Estate In Cabo San Lucas?